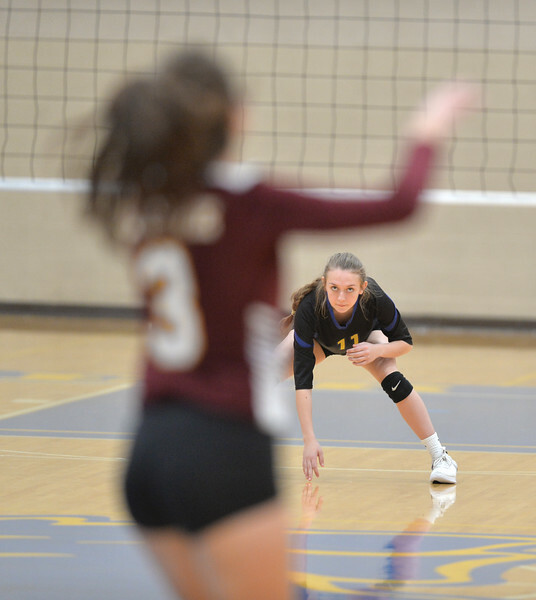 Sheridan’s Brooklyn Bowie prepares to receive a serve during a game against Laramie at Sheridan High School Saturday, Oct. 13, 2018. 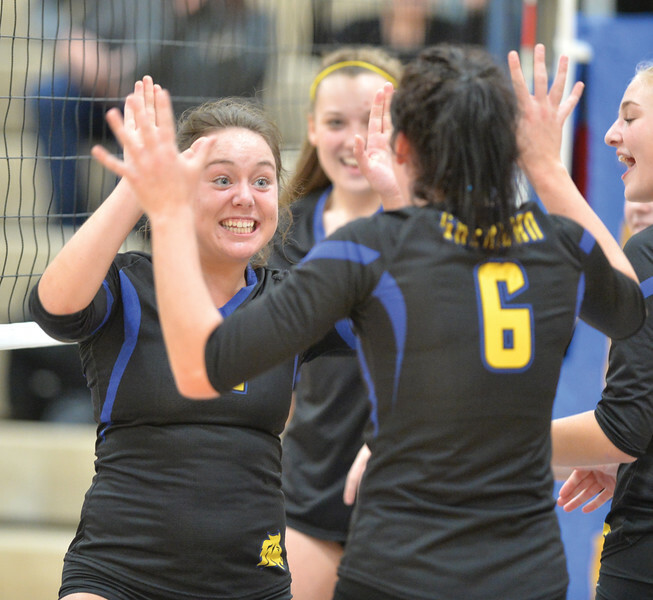 The Lady Broncs rallied in the fourth set to defeat the Lady Plainsmen. Sheridan’s Taylor Lee looks on during a game against Laramie at Sheridan High School Saturday, Oct. 13, 2018. 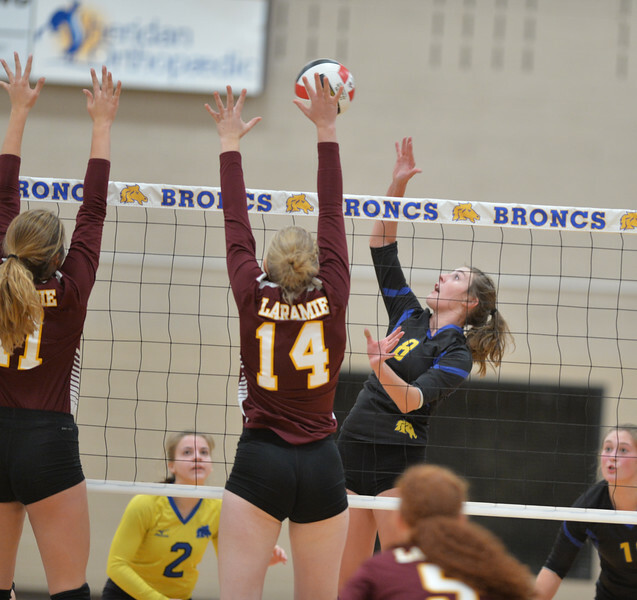 Sheridan’s Taylor Larsen, left, and Madyson Godwin rise for a block during a game against Laramie at Sheridan High School Saturday, Oct. 13, 2018. Sheridan’s Jordan Christensen rises for a hit during a game against Laramie at Sheridan High School Saturday, Oct. 13, 2018. 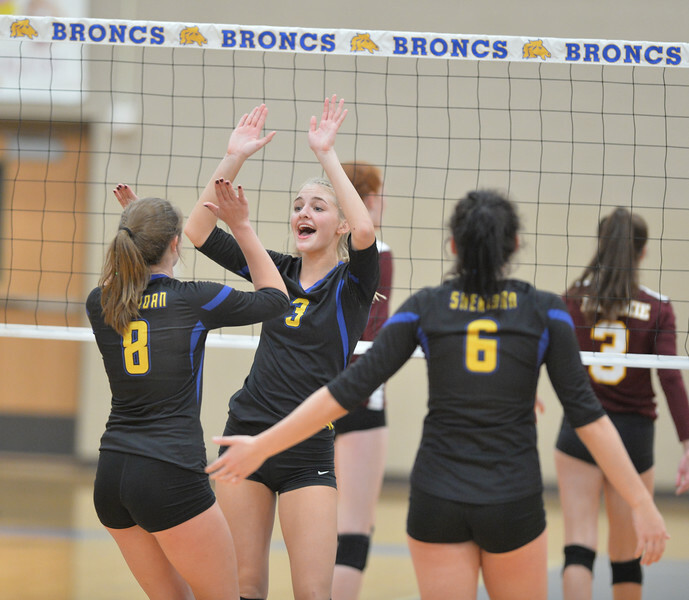 The Lady Broncs downed the Lady Plainsmen 3-1 to earn their second win in as many nights. 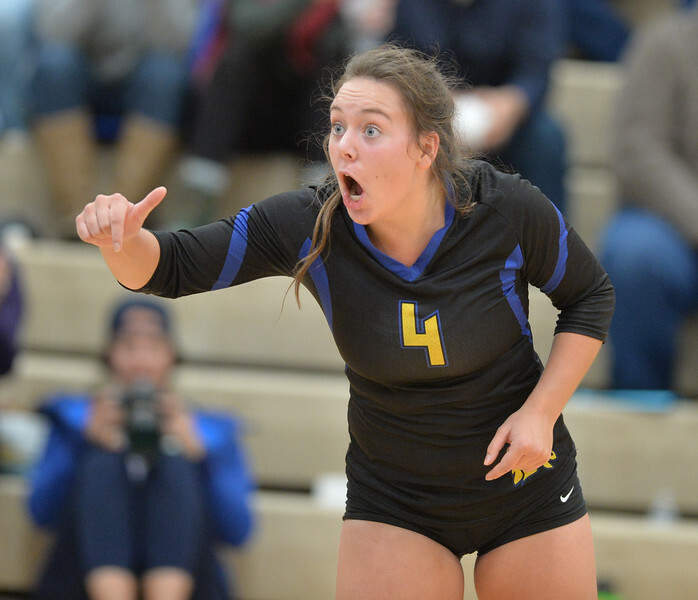 Sheridan’s Katie Ligocki celebrates during a game against Laramie at Sheridan High School Saturday, Oct. 13, 2018. 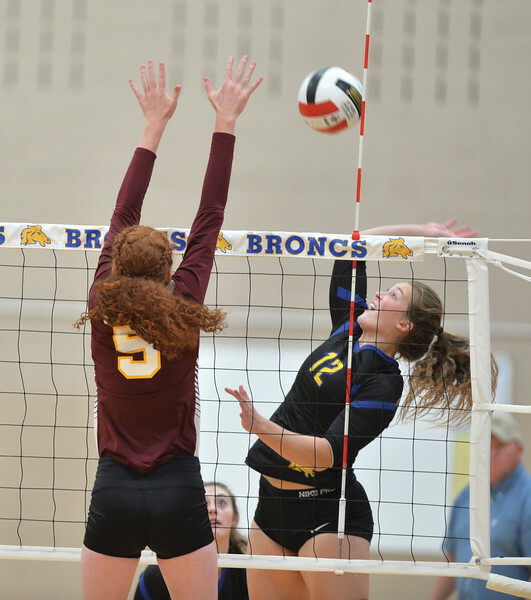 Sheridan’s Madyson Godwin, left, and Abby Sanders go up for a block during a game against Laramie at Sheridan High School Saturday, Oct. 13, 2018. 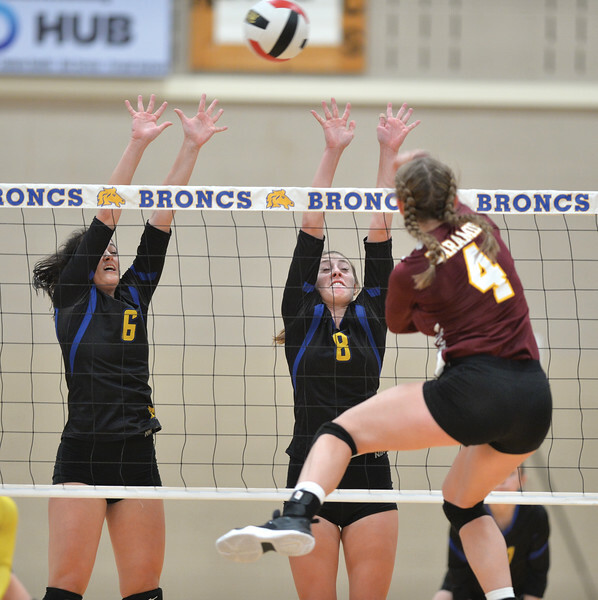 The Lady Broncs needed a total of seven sets to defeat Cheyenne South and Laramie Friday and Saturday. Sheridan’s Abby Sanders tips the ball over the net during a game against Laramie at Sheridan High School Saturday, Oct. 13, 2018. 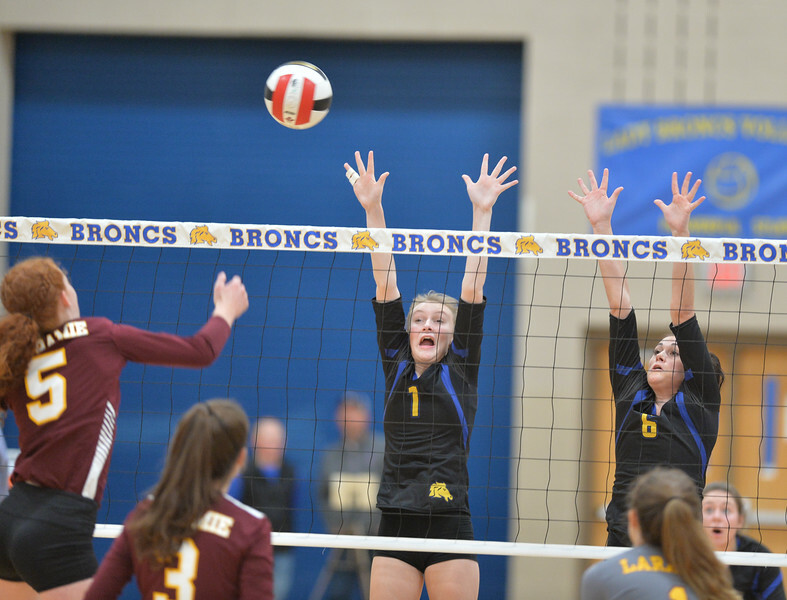 Sheridan’s Mckailyn Malles, left, and Madyson Godwin rise for a block during a game against Laramie at Sheridan High School Saturday, Oct. 13, 2018. 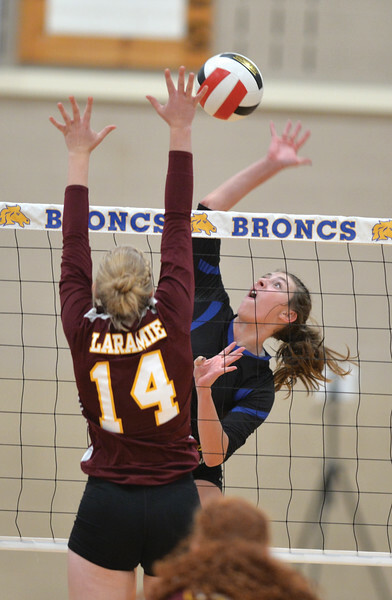 Sheridan’s Abby Sanders rises for a hit during a game against Laramie at Sheridan High School Saturday, Oct. 13, 2018. The Lady Broncs took the first two sets and the fourth to defeat the Lady Plainsmen. 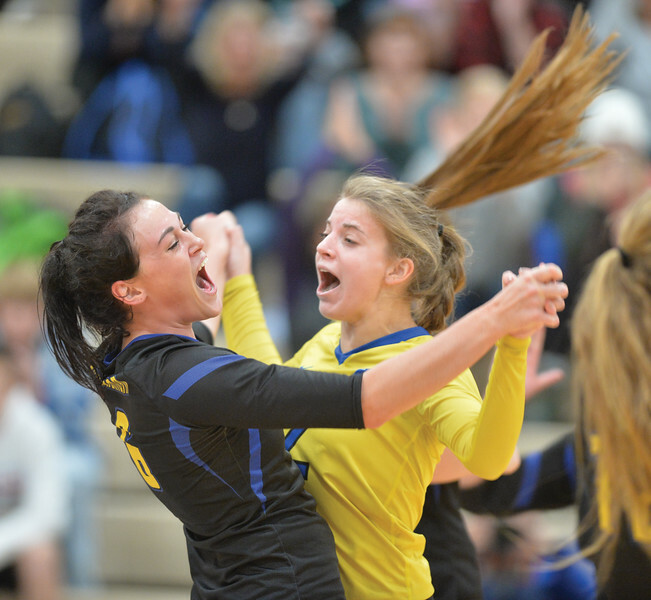 Madyson Godwin, left, celebrates with Talia Steel during a game against Laramie at Sheridan High School Saturday, Oct. 13, 2018. 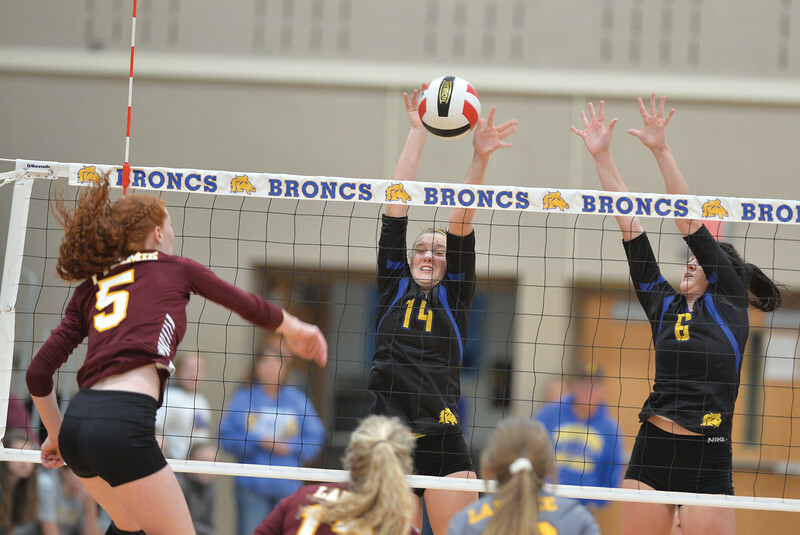 The Lady Broncs rallied in the fourth set to defeat the Lady Plainsmen.